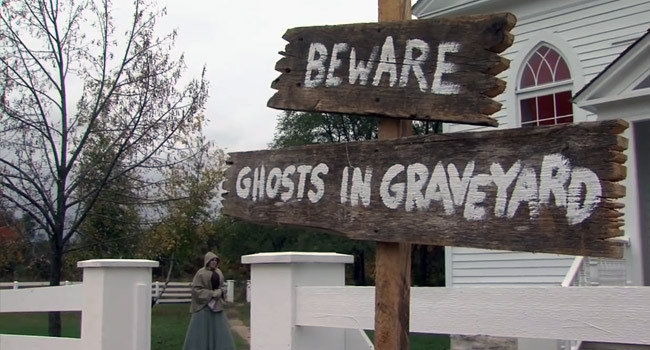 Step into the Halloween of yore with legends, ghosts, folklore, and spooky family fun at Old World Wisconsin! Join us for an always spooky, sometimes scary, rain-or-shine event as we celebrate the immigrant legends we brought with us and the folklore we created here at home. Halloween Legends and Lore features the folk and fairytales of the Old World as well as Wisconsin ghost stories from the 19th and early 20th centuries. Explore fantastic mazes, both whimsical and eerie. Burn off energy while fleeing ghosts or dancing in the enchanted fairy circle. Solve strange riddles and puzzles, create and take home macabre artifacts, and encounter cackling witches, gloomy grave diggers, strange beasts, freaky fortune tellers and bizarre entities. Learn the terrifying origins of the Ridgeway Ghost, and witness ghostly tales come to life. Enjoy tasty and disturbing treats and drinks, available for purchase. The evening culminates with a wild bonfire finale. Halloween Legends and Lore is happening October 21, 22, 28 and 29.